Amazingly powerful and compact modern designs! Direct Vent Furnaces are space savers yet they produce just the right amount of heat to keep you warm and comfortable. 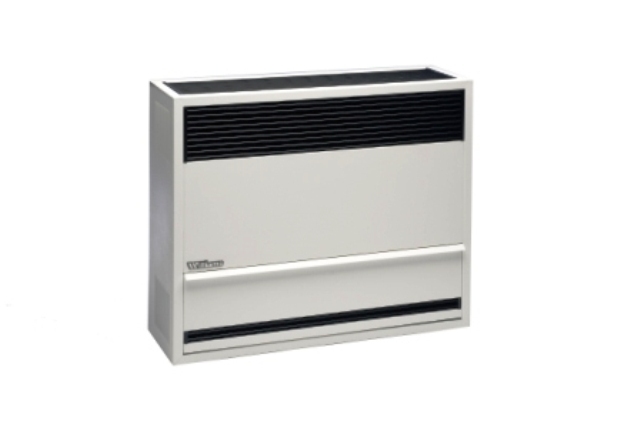 Williams engineers know how you value aesthetics, so these furnaces have been designed in soft-white, scratch resistant finish to blend in with any decor. Hard to ignore money saving features include: not requiring electricity, individually heats up rooms which saves you on fuel costs, low-cost installation, and durable ceramic-coated combustion chamber. They also come with an optional high capacity blower for added cost-efficiency.